There are several opportunities for students at Idaho secondary schools to earn college credit for education completed while still enrolled in the secondary school system. Advanced Opportunities allow students to individualize their high school learning plan and get ahead. Shine on! Photo by Karen Kayser. 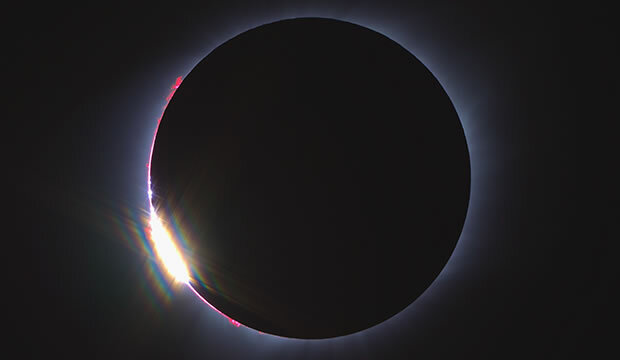 Total Solar Eclipse, Garden Valley, Idaho, August 2017. Dual credit, sometimes called "concurrent enrollment," is course work in which a secondary student is enrolled in a college level course which is also counted as a secondary course for high school graduation purposes. Advanced Placement (AP) helps hundreds of thousands of high school students achieve their college dreams each year. Whether you’re getting a head start on college or finishing your degree, you can earn credit for a fraction of the cost of a college course, using the College Level Examination Program (CLEP). Technical Competency Credit (TCC) allows high school students to document proficiency in the skills and abilities they develop in approved high school career-technical programs.